One of the top creative competitions in Asia and the major regional advertising festival is now calling for entries. The AdFest is back! The organisers are inviting you to send in your work to be judged in eighteen categories for the Lotus Awards. The show will be held as usual in Pattaya, the Thai beach resort, during 17th to 19th March 2016. But for six categories the deadline for entries is close. These categories, which are judged remotely, have to sent in by Friday 8th January. The special categories are Other Film in Lotus Film. Radio Lotus, Interactive Lotus, Mobile Lotus, Integrated Lotus and INNOVA Lotus. 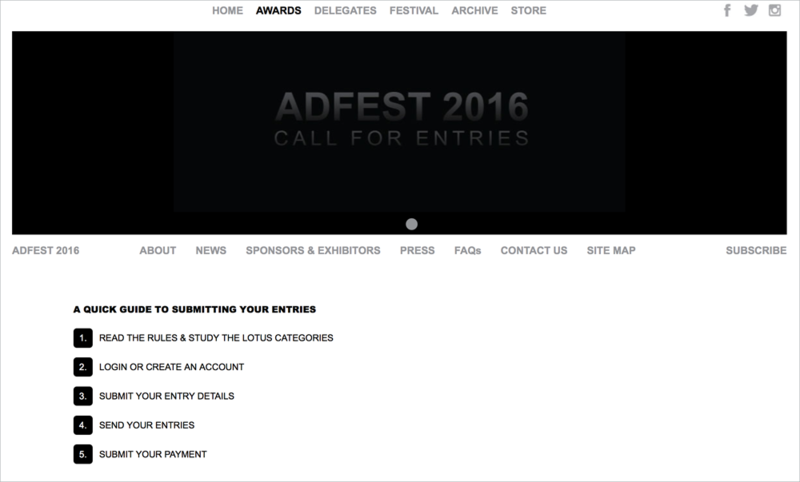 “Last year AdFest received more than 3,200 entries from over 35 cities across the region. Our panel of juries worked doubly hard to put forward work that is not only representing what’s happening today, but that is also pushing the industry forward,” said Vinit Suraphongchai, Chairman of AdFest.